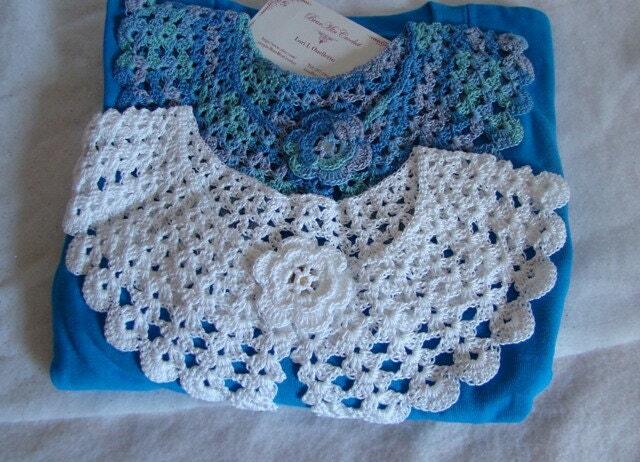 These beautifully hand crochet blue and white collars are the perfect accessory. 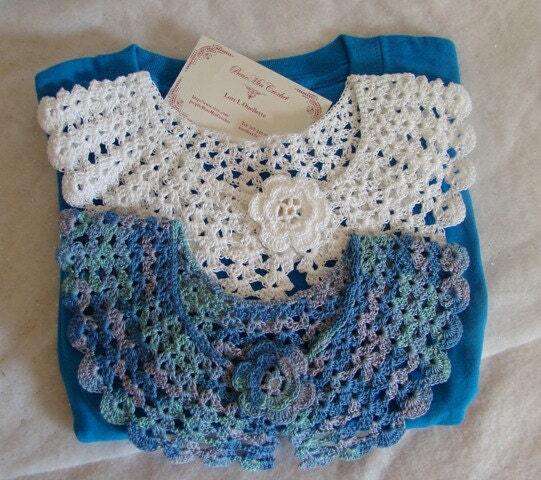 This set comes with two different collars in lovely shades of blues, greens and grays, along with a crisp white collar. 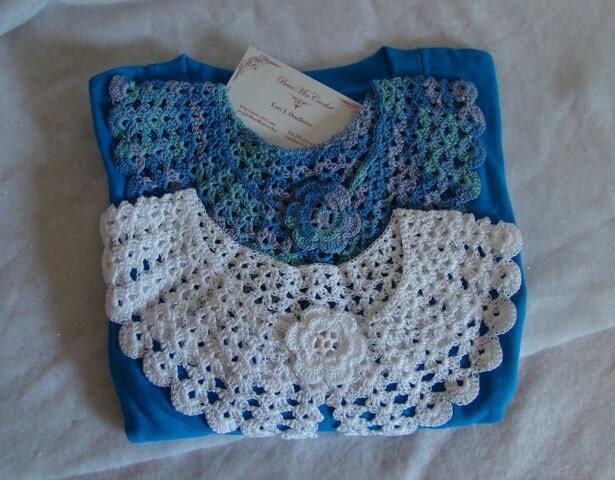 Each is adorn with a detachable handmade crochet rose pin and an adult med size cotton t-shirt. 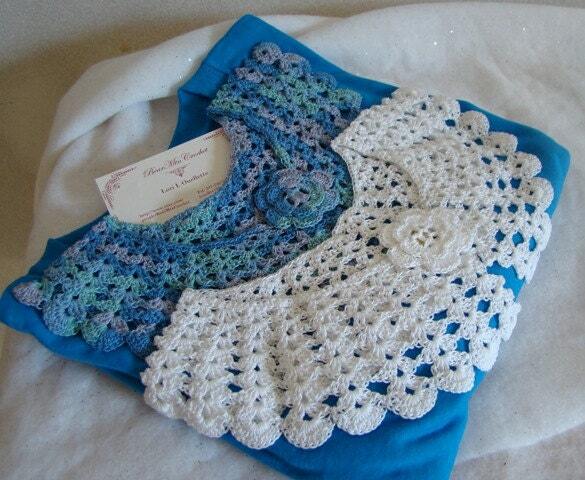 The collars can be worn with either the t-shirt, a turtleneck or any shirt where you'd like that something colorful.